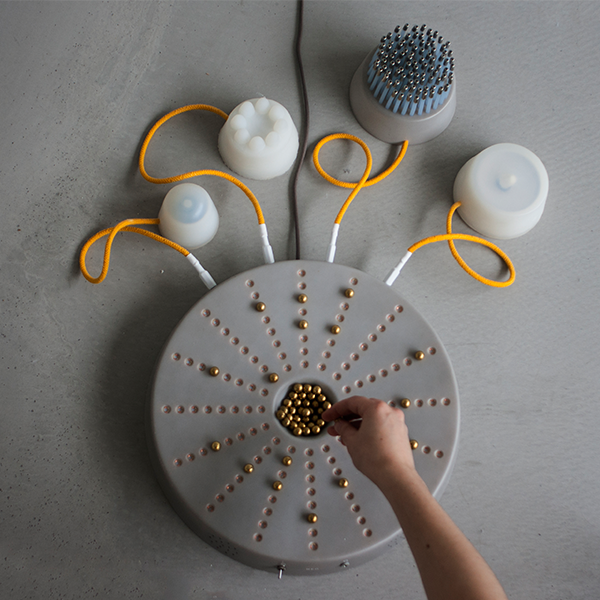 Neo started out as a graduation project at the Design Academy Eindhoven. 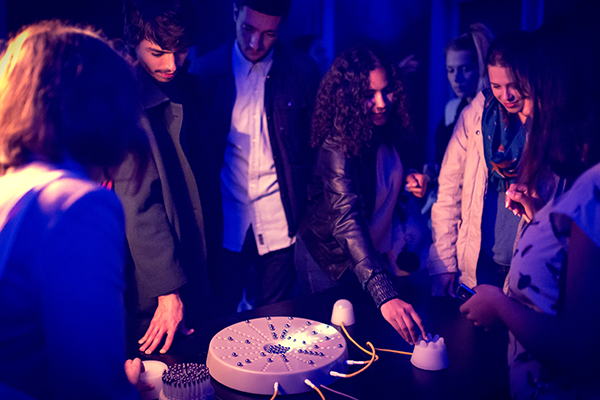 At the Dutch Design Week 2015 Neo was first exhibited on the graduation show. There Neo was scout to be part of the talent development program Smart Design to Market. Here Neo won the ASML Makers Award. This meant that with help from ASML a new prototype could be developed. Also ACE and Spiccs offered their support in the contects of SDTM. Neo recieved grants from 'stimuleringsfonds creatieve industrie' and 'Rijksdienst voor Ondernemend Nederland'. The first to present Neo at Amsterdam Dance Events Soundlab and the second for a feasibility study. Neo has been presented at numerous festivals and events including: Dutch Design Week 2015 and 2016, FAQ Festival, Festival Maintenant and Amsterdam Dance Event. It takes years of hard work to master an instrument. I love making music, but nobody else enjoys it when I make music. I tried to master the accordion, which made me realize just a lot of practice is not enough. You also need some talent. So after years of fruitless effort to become a musician, I almost gave up. But then I decided instead of trying to master an instrument, I would make an instrument that needed neither years of practice nor any talent to play. So whether you have no musical talent, no time, or you just want to get a taste of playing an instrument, Neo will make it simple. Music is a sensory experience, while playing a traditional instrument sound is directly influenced by touch. This is often lost in digital instruments. 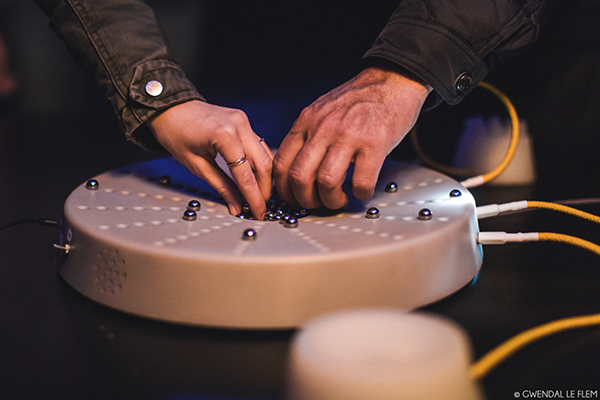 Even though Neo is a digital instrument, your touch will still influence the sound. Neo's base is a circular matrix. On the rows of Neo's base you can put down marbles and the Neo loops over them as pins on a barrel organ. 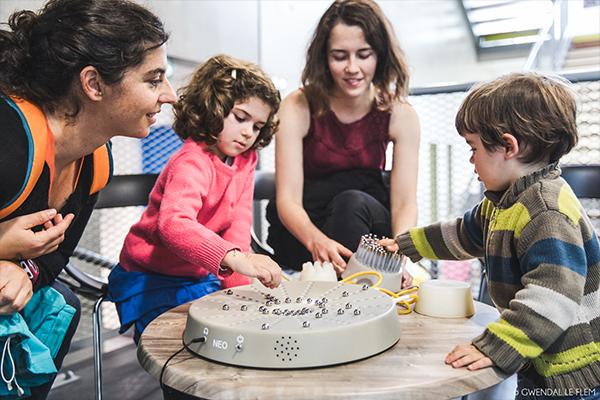 Next to the base there is a collection of external sensory modules that influence the sound, the speed of the loop or make their own sounds. For Neo you don't need rhythm, perfect pitch or years of practice, Just play.